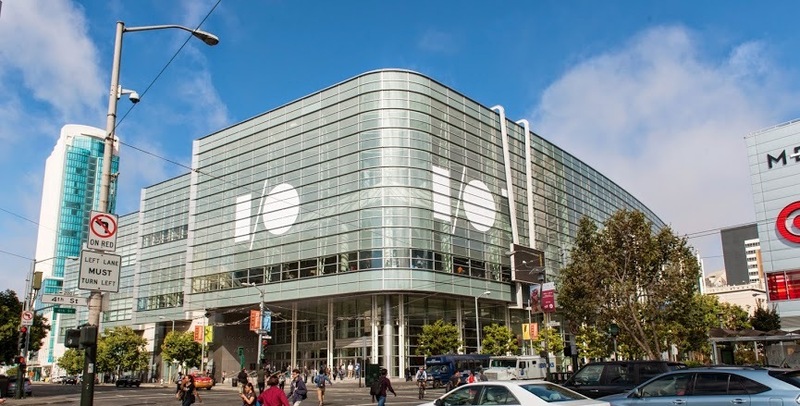 I/O is Google’s annual developer conference that started in 2008 with a focus on Chrome OS, Android and Google APIs. 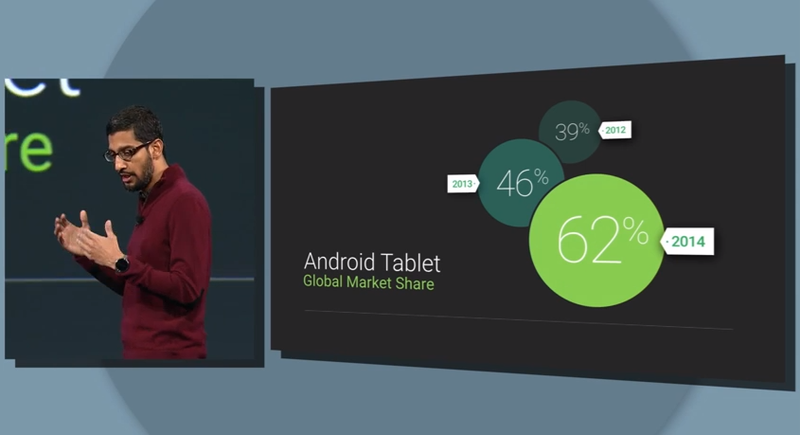 Google I/O 2014 was held on June 25–26th at the Moscone Center, San Francisco. Before we look at this year, let’s recap last year’s highlights. Google+ photos with automatic GIF Maker. 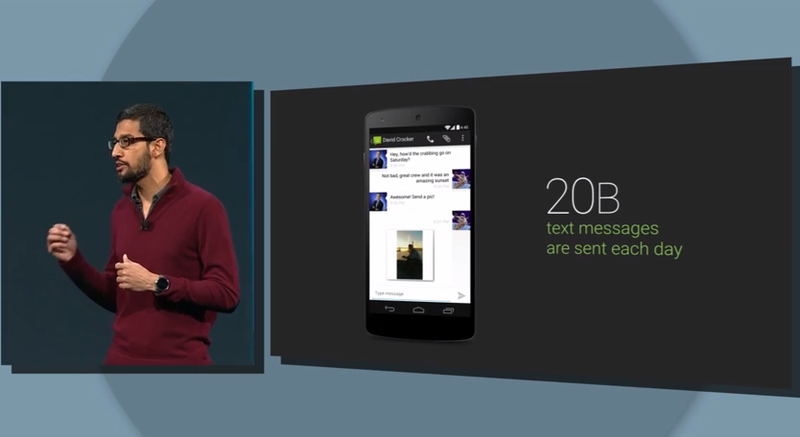 Google+ photos, 15GB storage with Auto enhance feature. New Google Maps for desktop. Lets start with Android Wear. A simple, uncluttered design on hardware. Devices are controlled by vertical and horizontal swiping. Devices will recognize your current location and send notifications based on it. The LG Gwatch and Samsung Gear wearable devices are available now. 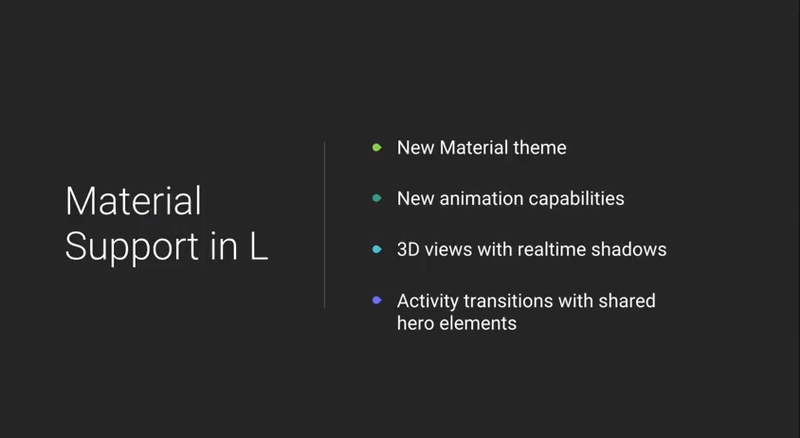 Google took the opportunity to announce the features that will make the next version of Android, but not yet its full name. Destined for release in Autumn / Fall, much of the focus is on design and layout changes and integration with other Android devices / platforms. Design changes aim to increase the usage or card style layouts and personalization. Dubbed Material Design, it’s not a return to skeuomorphism, but a further move to simplify and optimize the mobile experience. A new ‘leanback’ support library that will allow developers to design simpler living room apps and console-style games. Ideal for Android TV. Battery handling and life improvements through improved services and apps, under the umbrella term, ‘Project Volta’. 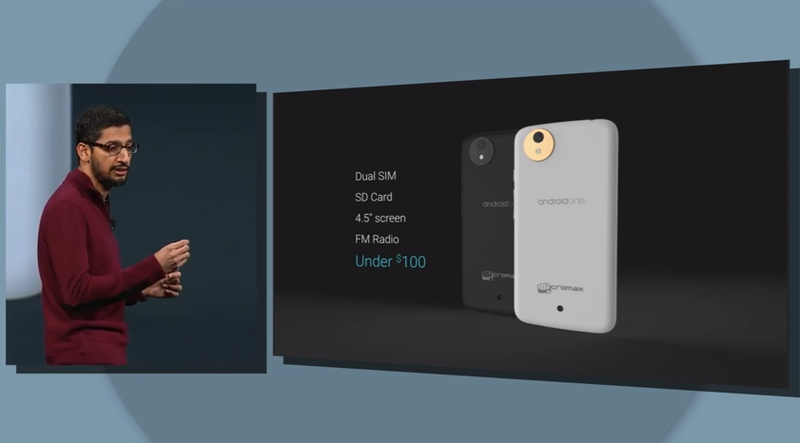 Director of Android Partner Engineering, Patrick Brady announced Android Auto. It extends the display and interaction with your phone straight into your (compatible) car. It works by plugging your Android device into a car, no wireless support yet. Finding and playing music on your car stereo. Larger buttons for easy operation. 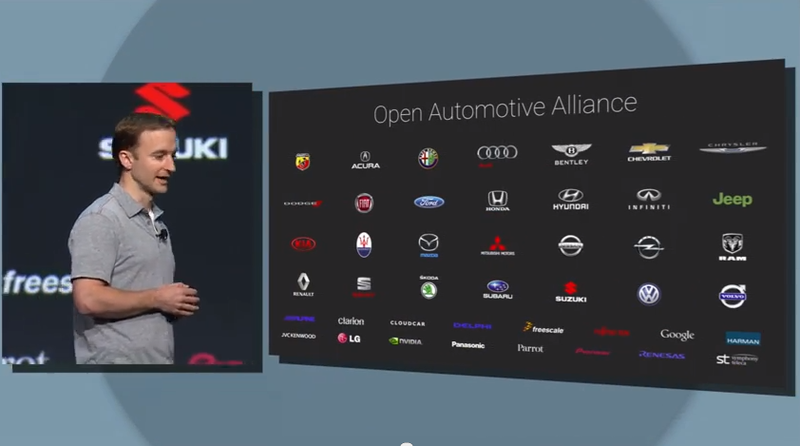 The Open Automotive Alliance includes 28 different car makers. Stated to be on sale before the end of the year. 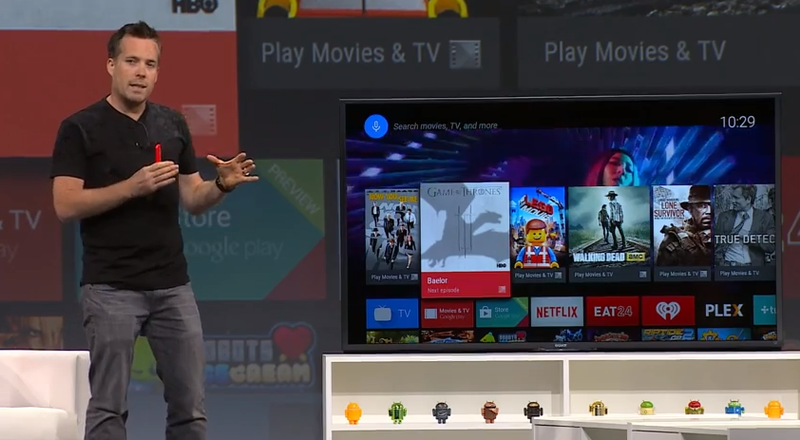 Google’s Engineering Director, Dave Burke announced Android TV to bring Android capabilities to your living room. Google has tried several TV based enterprises, not always with success, but this more integrated approach shows promise. Google Knowledge Graph enabled, which has the potential to replace old-fashioned TV ratings. Search and watch apps, games and content on your TV. 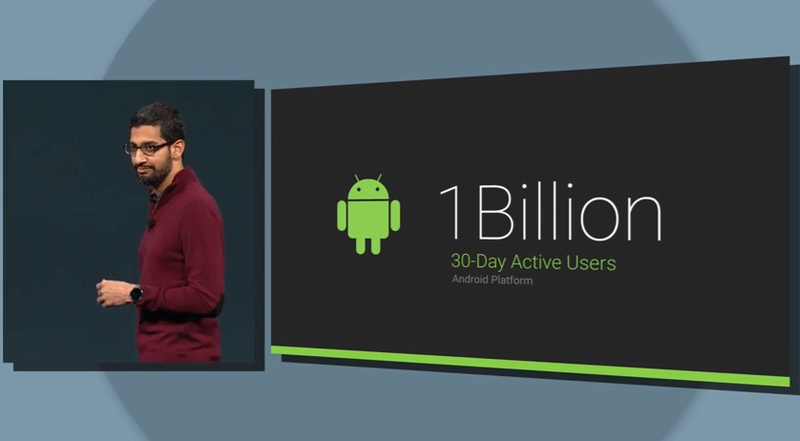 At least in the Google Play ecosystem (for now). Voice search enabled that will allow users to find results based not only on title, but by subject, year etc. 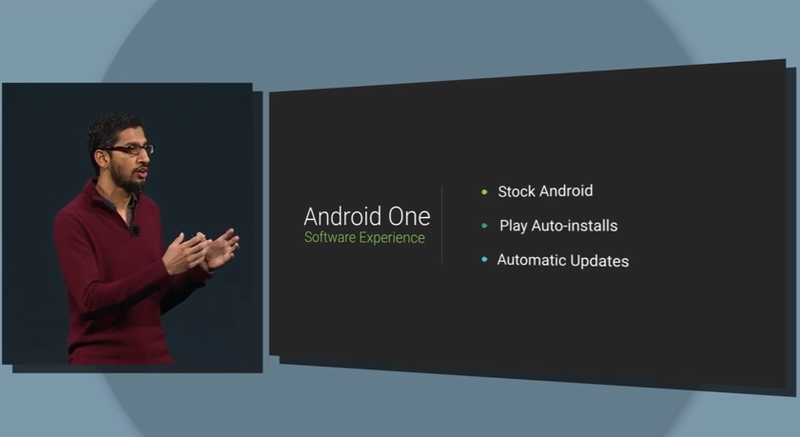 Multiplayer games between Android TV and other Android devices. 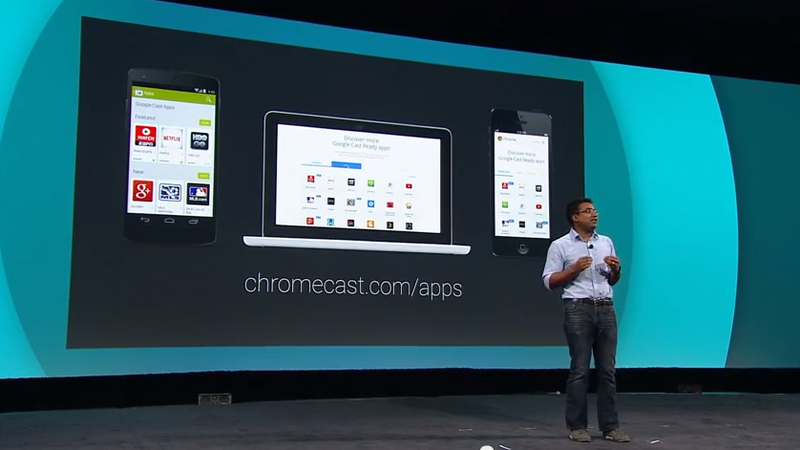 Chromecast has been potentiality rebranded to ‘Google Cast’, but the ability to ‘cast’ your phone to your TV remains. Sony and Sharp will be releasing supported devices next year. Sharing content with a TV on a different Wi-Fi network is now possible. A TV can be turned into a digital photo frame with when it is not being used. 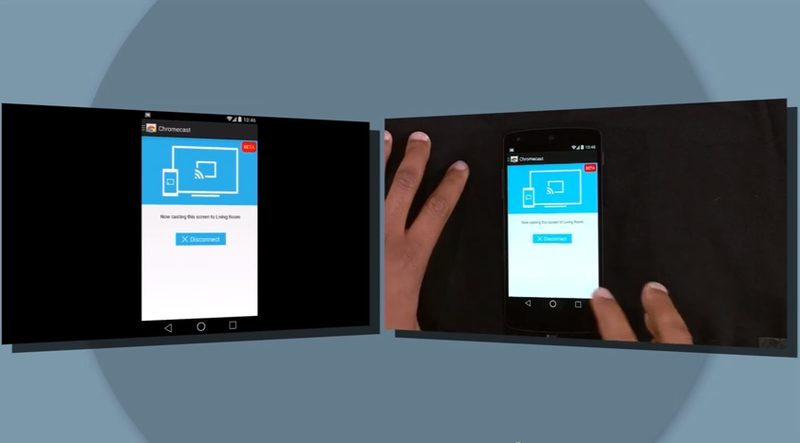 Chromecast will be able to mirror your phone screen on a TV. Wallet: A new ‘Save a Wallet’ button allows users to receive offers directly into developers’ applications. 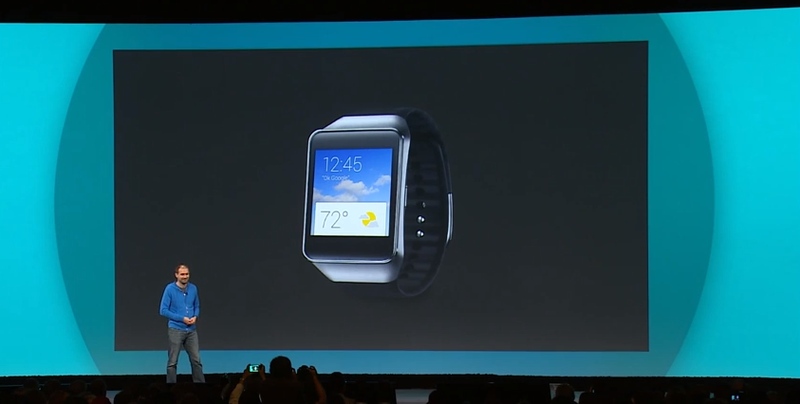 Support for Android Wear: Simple integration of apps with Android Wear. Drive: Creating offline folders, sorting query results and more. App Indexing API: Application level indexing of your content to drive deeper user engagement. Mobile Advertising: Improved in-app purchasing and ad support. Security: A dynamic security provider for delivery of security patches more regular without the need for large updates. Google Cast: enable closed-caption support for Chromecast using media tracks. Analytics: Insights into the full user journey in your apps. Fit is considered as a competitor to Apple’s new health tracking system, Health Kit. In much the same ways, it will give users a facility to view, aggregate and control their fitness data. In 2013, attendees of I/O received a Chromebook Pixel. This year being the year of wearable devices, the freebies were Android Wear powered smartwatches, a choice between LG and Samsung smartwatches, as well as the Motorola 360 once that device has been released. What Has the Search Giant Missed? 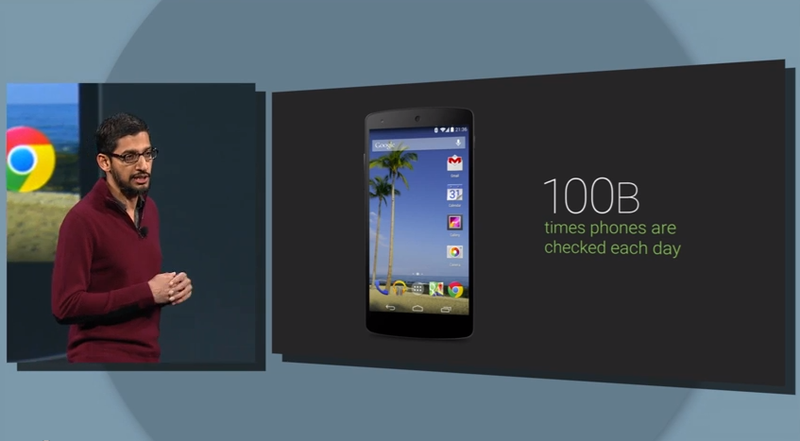 Last year, Google I/O focused on Google Glass and Plus. 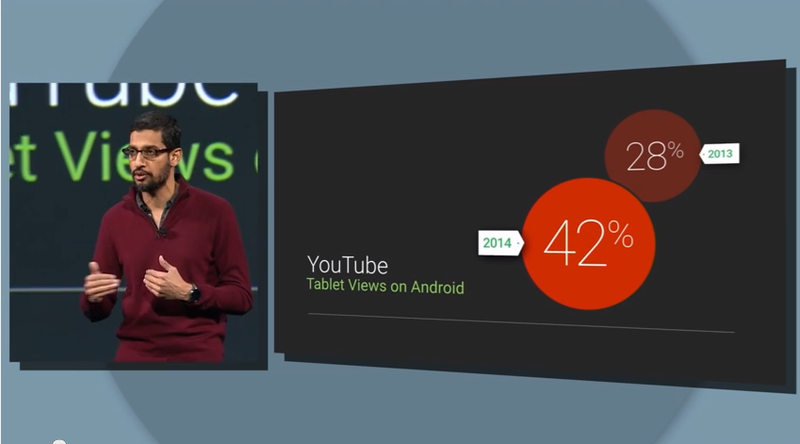 This year Google largely ignored both of these platforms and squarely shifted focus towards Android. Google is expanding its market with the Android Platform, we can expect many similar announcements in the next year, what are you expecting or hoping to see? Amit completed a Master of Computer Applications (MCA) and is currently working as a Senior Research Fellow where his job responsibility includes Website Development and Software Development. He has successfully delivered various assignments while working as a Freelancer Technical Writer and Programmer.